The streets of Orihuela have been filled with verses by local poet Miguel Hernández as part of the activities to commemorate the 75th anniversary of his death. Municipal buildings are displaying canvases bearing verses written by Orihuela´s most illustrious son, while some of his most outstanding verses have been painted in pedestrian crossings. This is a way to perpetuate the verses in the memory and hearts of all Orihuela residents and tourists. The Orihuela Town Hall is also distributing over 5,000 leaflets containing selected verses from several poets including Federico García Lorca, Pablo Neruda and Rafael Alberti. 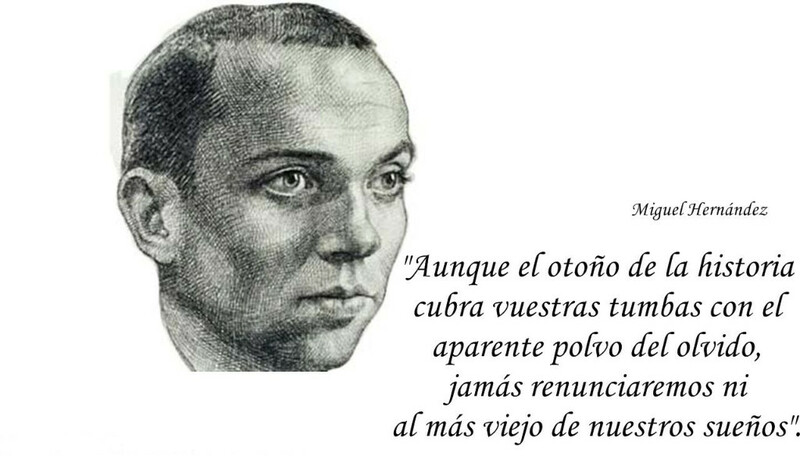 Miguel Hernández is one of the best Spanish-language poets of all time. He was born in Orihuela, Alicante in 1910. The humble house where he lived from the age of four is now open to the public for visiting. The house is well-preserved and has many original elements that were typical of Spanish homes at the beginning of last century.